Milan is Italy’s fast-paced city of the future where looking good is mandatory, creativity takes center stage and “aperitivo” is an art form. Despite its reputation, Milan is anything but flashy. The town is surprisingly walkable and is more dense than numerous other European cities. Most of its sights and attractions are not readily apparent, you’ll need insider information and tips to find them. This is true even for the neighborhood surrounding the city’s top attraction – the Duomo. The spectacular cathedral sits in the heart of the city. 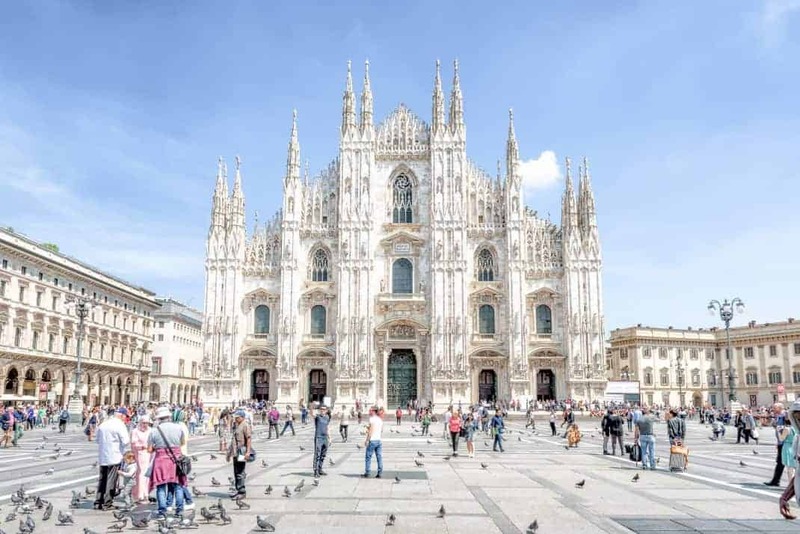 It’s one of the largest churches in the world and it’s no surprise that the stunning monument is the symbol of Milan. 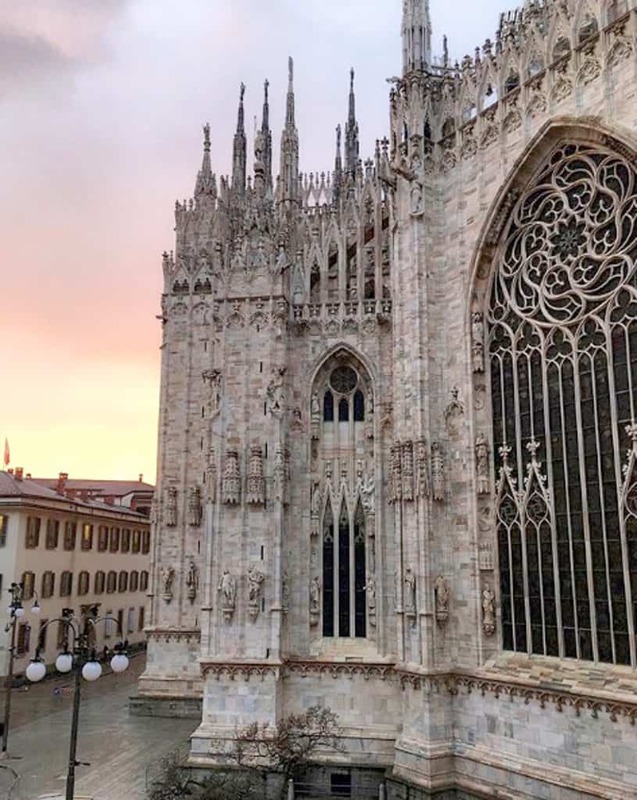 To help you navigate the streets of Milan and the area around the Duomo, we’ve put a list together of our favorite spots. Check out our tips on what to see, where to stay, what to eat and must-do activities in the city! 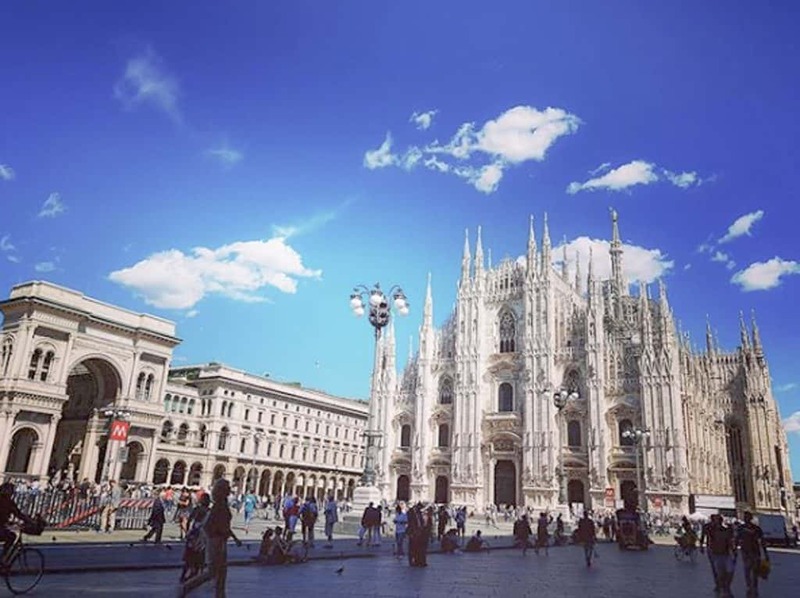 You can visit Milan, and the Milan cathedral at any time of the year, though the weather is best in the spring and summer. Know that the Duomo is closed on Sundays, religious holidays and other religious events. Make sure to plan accordingly! Plan on spending at least 2 or 3 hours to visit the Duomo cathedral alone. This will give you enough time to explore the impressive structure and make your way to the terrace for a splendid view of the city. The neighborhood around the Duomo is packed with museums and other historical monuments. We recommend spending a full day in the area. When visiting the Duomo, or any other church in Italy, there are a few rules to keep in mind. You’ll need to cover your shoulders and knees and don’t wear spaghetti strap or skimpy tops. Often, a disposable cloth to cover shoulders or knees is available. The Duomo di Milano is without a doubt the top attraction in Milan. The symbol of the city, the cathedral is located on Piazza del Duomo in the historic town center. Construction started in 1386 and took over 500 years to complete. It was finished on the orders of Napoleon Bonaparte, who wanted to be crowned king of Italy there! It’s the third largest cathedral in the world with 2,000 white marble statues and 136 arrows on the facade. You can also visit the terrace for panoramic views of Milan. 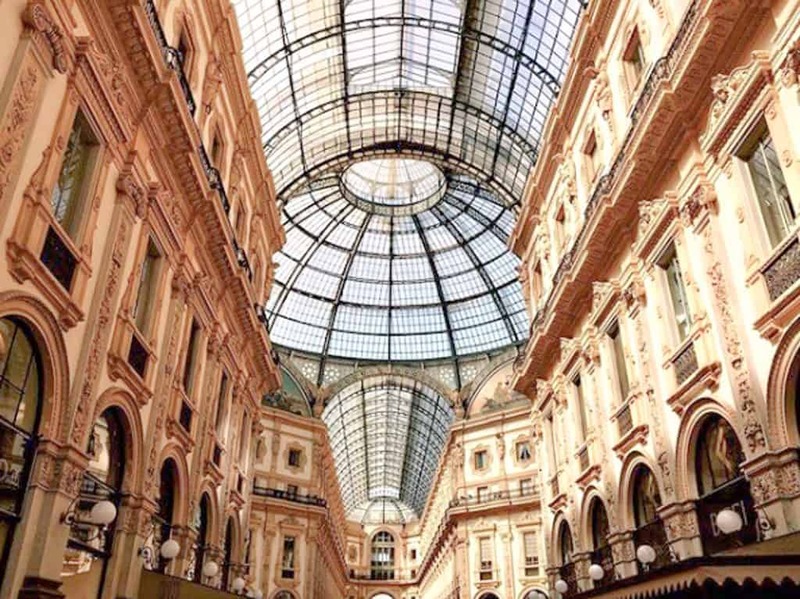 A few steps from the Piazza del Duomo is the famous Galleria Vittorio Emanuele II. You’ve probably seen its memorable arcades and superb dome on a postcard or in a magazine. Many consider it to be one of the most beautiful galleries in Europe. Housed inside are some of the world’s most distinguished fashion brands including Vuitton and Prada as well as high-end restaurants. Even if you’re not a fashionista, make sure to check out the stunning architecture of the Galleria. 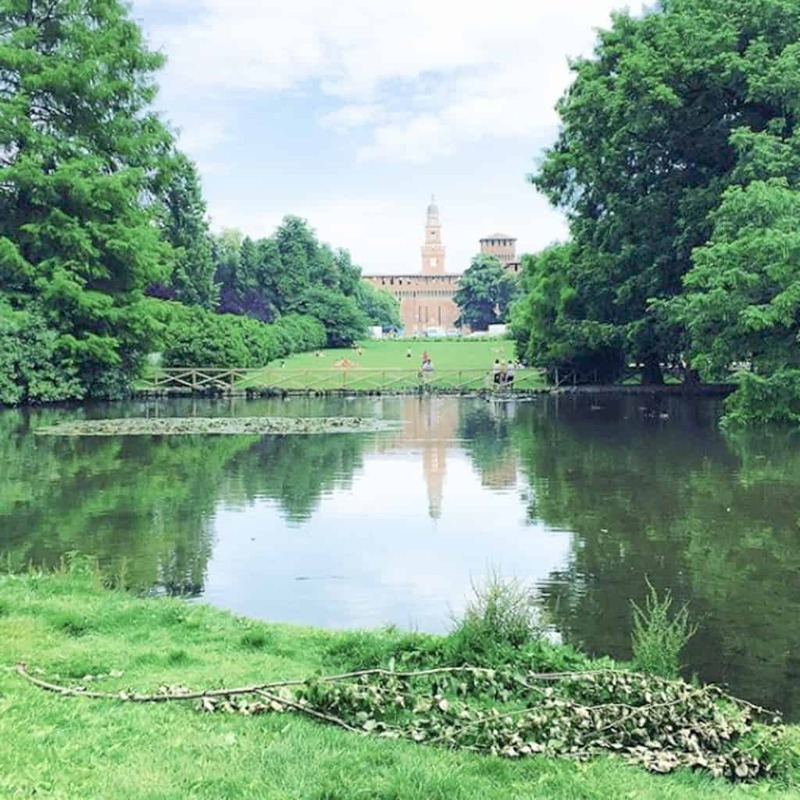 Located just behind the Sforza castle is the immense Parco Sempione, or Simplon Park. The park is a beautiful place to stop and rest for a bit. It’s also home to some magnificent buildings and monuments. There’s the impressive Arco della Pace, built to celebrate peace. The Arena Civica stadium dates back to 1807, where sporting events were traditionally held. You’ll also find the Triennale, a design and arts museum. Plan on spending a few hours exploring this lovely oasis of green.